Crochet Hooks are a Crocheter’s main stay and life line….that and yarn …ofcourse..:-)). For a beginner to the art of Crochet, I find that what hook to use, with what yarn, is a very confusing mine field. When I started out….teaching myself crochet…I made so many time- consuming mistakes….by using the wrong hook for the wrong yarn on a pattern I wanted to do. 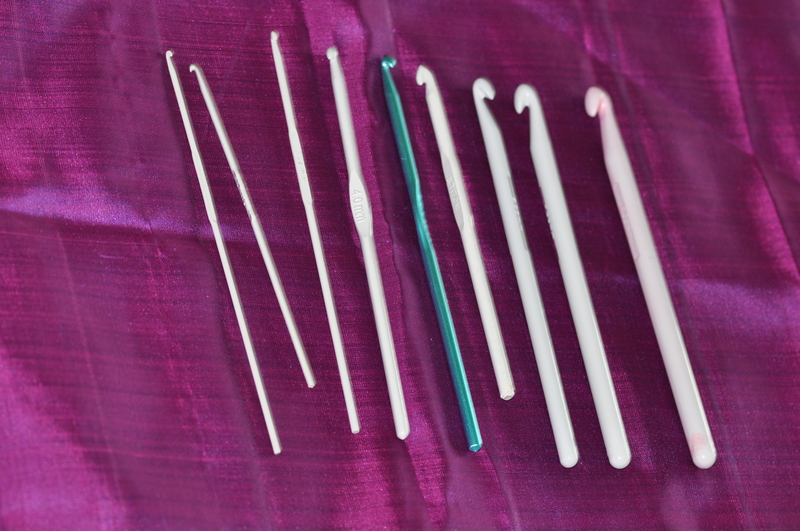 But before we go into the subject of combining yarn to hook…we have to first know what constitutes a crochet hook, how many types of hooks there are and what hook to use with what kind of crochet. Crochet is a French word that simply means ‘to hook’. The reason being obvious. Basically we have hooks made in steel. aluminium, plastic, wood, horn and bamboo. Steel Hooks come in sizes from .05mm to 12.00mm. 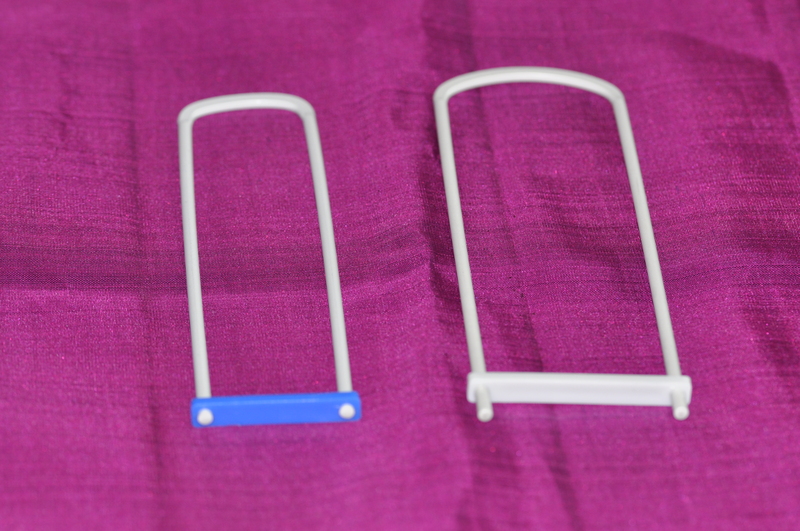 Plastic, Aluminium, Wood, Horn and Bamboo hooks come in from size 2.00mm to 20.00mm. 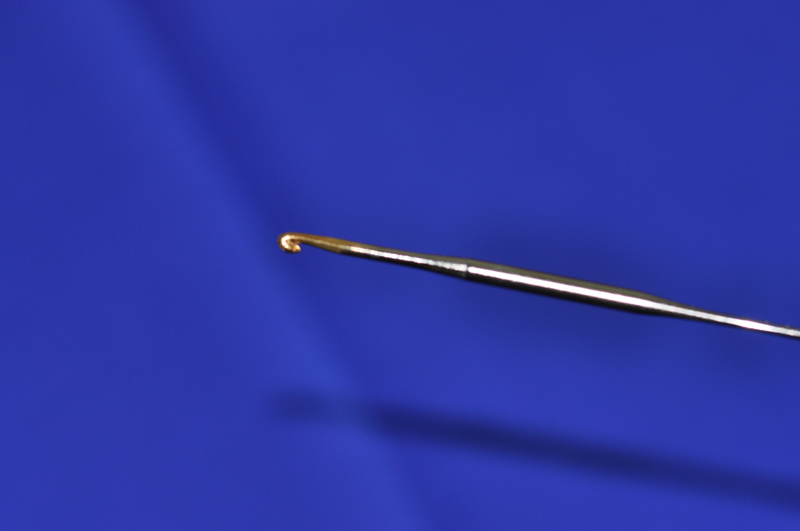 The problem arises in some cases when local manufacturers do not adhere to international standards of hook making . Then you can buy a size with totally different dimensions. I have a size 2.00mm that could be a 1.50mm and another 2.00mm that equals 2.5mm. This difference is not usually seen in steel hooks. My advice is to buy well known hook brands like Tulip, Silver,Knit Pro Waves. 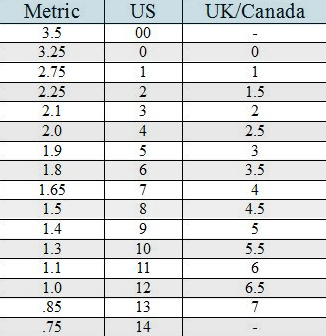 Hooks are also classified according to a different numbering system in the USA versus Cananda and the UK. 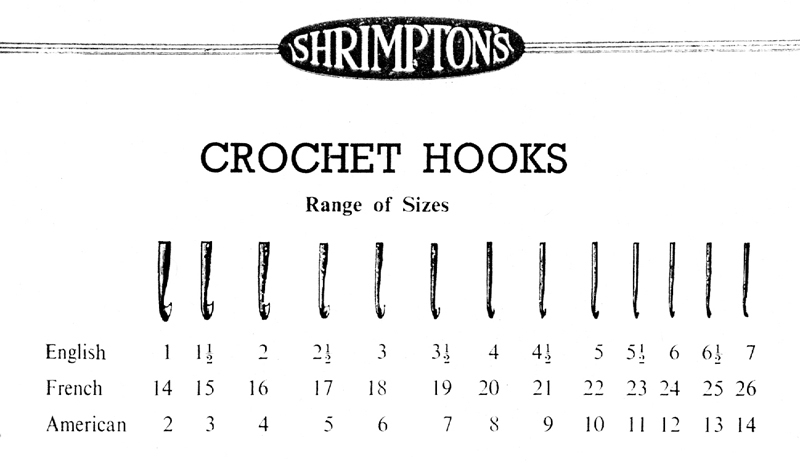 There is also a system where alphabets represent the hook size…I have a few links below that will help you understand that method of numbering as well. 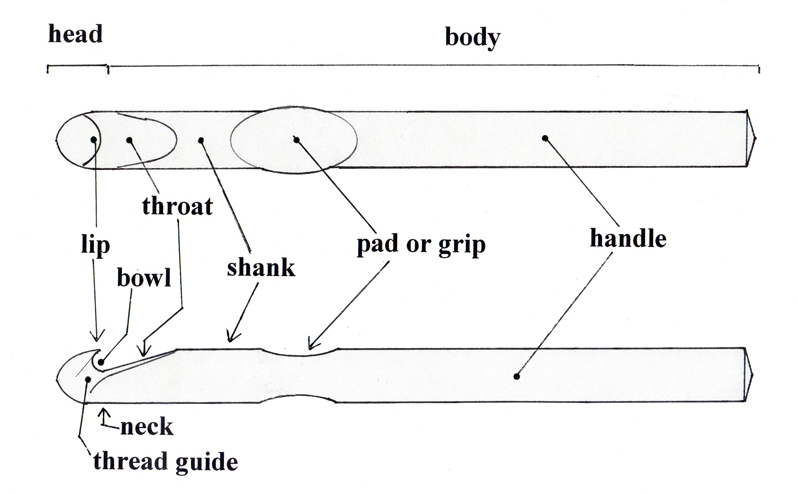 If you wish to follow patterns all over the world…my advice to you would be …know ur hook sizes . Crochet stitches are also done with a loom in what is today called Hairpin Lace. Bigger and broader ur loom bigger and broader will be your pattern. However you don’t have to buy a loom, You can use a wire coat hanger and bend it into loom to the below shape in the size you want. These too come in various sizes. 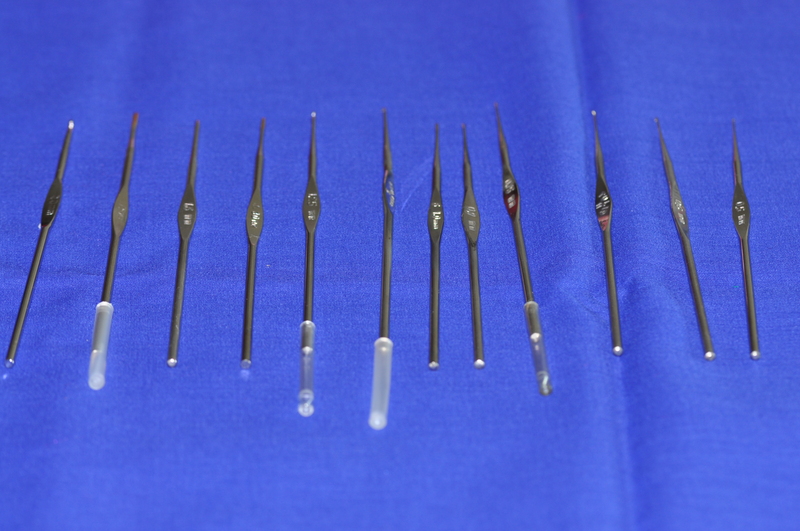 The sizes below are 2.00mm and 3.00mm. Another form of crochet that requires a different kind of crochet hook is Tunisian Crochet. 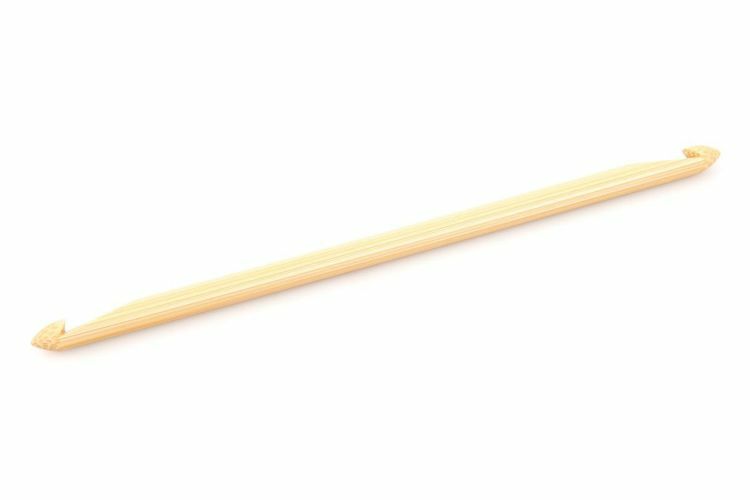 Here the hook is much longer than your average crochet hook. Some have hooks on both ends. 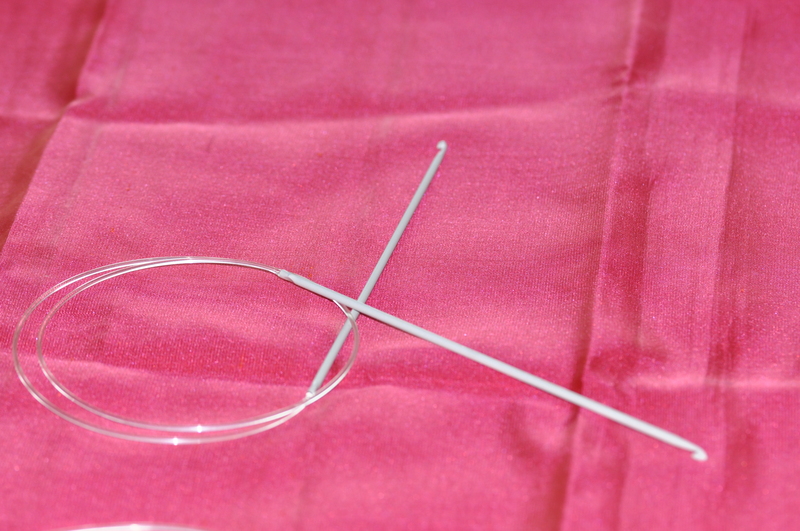 You can also find circular crochet hooks that is used for this category of crochet. This comes in various sizes. Most of these kind of hooks that I have seen come in Plastic…..though there are Tunisian hooks made in wood, steel and bamboo. What letter is a 11.50mm??? I don’t know the American system of lettering…..but if you go through my blog…I have included a few links that might help u. Thank You Humberto…I am not very net savvy…so am not sure what you mean by web host etc….